Sharon Lloyd’s fall semester started a few days early. Mere hours after convocation, the professor stood in front of a dozen newly minted Trojans, ushering them into a three-hour dialogue on the moral status of non-humans. Lloyd, a professor of philosophy at the USC Dornsife College of Letters, Arts and Sciences, was one of 64 faculty members to lead micro-seminars during Welcome Week. 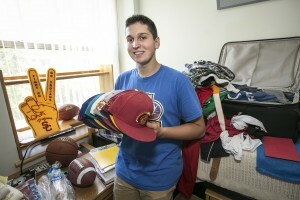 Now in its ninth year, the program is geared to put incoming freshmen and new transfer students into close intellectual contact with faculty from the get-go. Ungraded and carrying no academic credit, micro-seminars promote exploration in disciplines outside a student’s comfort zone. Split into two 90-minute sessions on Aug. 21 and 22, each seminar is limited to 20 students; sign-ups happened in early August. 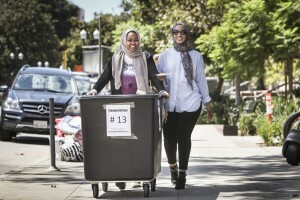 In 2013, about 1,250 students participated. 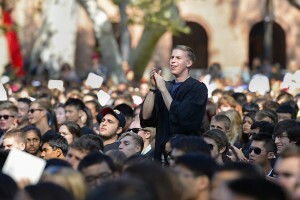 More than 1,000 students took part this year, Bickers noted. Though compensation is nominal, the program attracts star faculty. 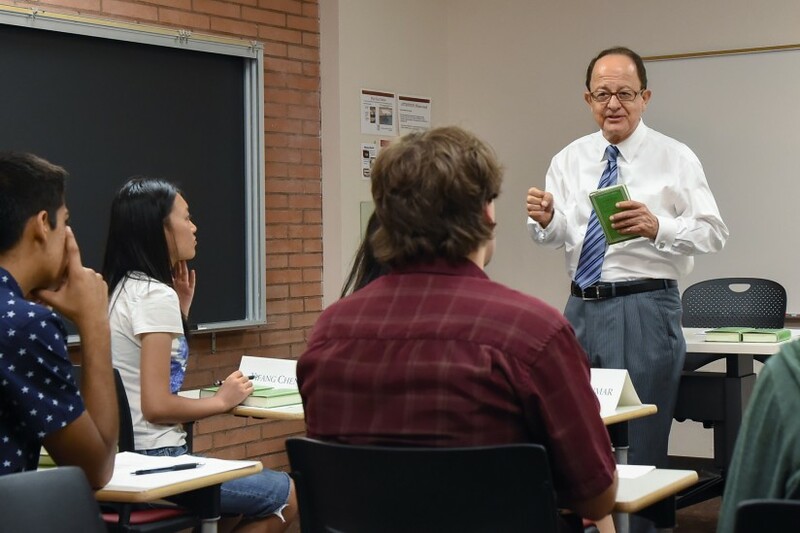 Each year USC President C. L. Max Nikias leads a seminar on Athenian drama and the roots of Western storytelling. An engineer by training, Nikias is passionate about the classics. Provost Elizabeth Garrett, who serves on the USC Gould School of Law faculty, taught one on the California initiative process. Bickers, who runs the micro-seminars program, taught one whimsically titled “The Hitchhiker’s Guide to Particle Physics.” Dozens of other seminars covered such far-flung topics as combustion engines, genome censorship, doping in sports and even zombie invasions. This was Lloyd’s first time teaching a micro-seminar, though she’s been on USC’s faculty since 1987. Aided by a PowerPoint slideshow, she tore into her meaty topic: “Animals, Aliens, AIs and Enemies: Who Matters Morally?” The object, she explained to the dozen students in her Von KleinSmid Center classroom, is to identify the qualities a creature must possess in order to merit moral consideration. Having briefly summarized the views of major Western thinkers such as Aquinas, Descartes, Kant and Bentham on the matter, Lloyd drew the students into lively Socratic dialogue. They needed little coaxing. That was certainly true of Cole Kurth, a civil engineering major who seemed right at home with the idea of “necessary and sufficient conditions.” The same held true for architecture student Amanda Lim. Danyal Brink is a chemistry major and an artist, a committed student and avid athlete.